NO IMAGE AVAILABLEThe world's most highly regarded traction aid, an ARB Air Locker is a driver controlled locking differential originally designed to give serious 4 wheelers the traction needed..
*Shown with San Bernardino National Forest Map* *Marine functions can be disabled for off road use*HDS-12 Carbon combines an ultra-clear SolarMAX™ HD display with a new dual core high-performance..
*Shown with San Bernardino National Forest Map* *Marine functions can be disabled for off road use*HDS-12 Carbon combines an ultra-clear SolarMAX™ HD display with a new dual core high-performanc..
*Shown with San Bernardino National Forest Map* *Marine functions can be disabled for off road use*HDS-16 Carbon combines an ultra-clear SolarMAX™ HD display with a new dual core high-performance..
*Shown with San Bernardino National Forest Map* *Marine functions can be disabled for off road use*HDS-16 Carbon combines an ultra-clear SolarMAX™ HD display with a new dual core high-performance pro..
*Shown with San Bernardino National Forest Map* *Marine functions can be disabled for off road use*HDS-9 Carbon combines an ultra-clear SolarMAX™ HD display with a new dual core high-performance .. 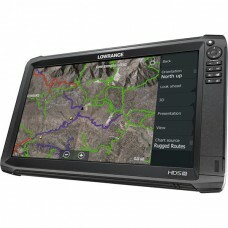 This Unit is Discontinued and has been replaced by:Lowrance HDS-9 Live*Shown with San Bernardino National Forest Map* *Marine functions can be disabled for off road use*HDS-9 Carbon combines an u.. Fits years 2005, 2006, 2007, 2008, 2009, 2010, 2011, 2012, 2013, 2014, 2015 The world's most highly regarded traction aid, an ARB Air Locker is a driver controlled locking differential originally desi.. Fits years 1998, 1999, 2000, 2001, 2002, 2003, 2004RD136 SUPERSEDES RD78A Note:- Refer to dealer or check spline count to determine axle type.- Floating thrust block(s) are included but should ONLY b.. Fits years 2000, 2001, 2002, 2003, 2004Note: Refer to dealer or check spline count to determine axle type.The world's most highly regarded traction aid, an ARB Air Locker is a driver controlled lockin.. Fits years 2005, 2006, 2007, 2008, 2009, 2010, 2011, 2012, 2013, 2014, 2015, 2016, 2017, 2018 *Only for Thailand Built Models with 12 Ring Gear Bolts*The world's most highly regarded tract.. Fits years 1986, 1987, 1988, 1989, 1990, 1991, 1992, 1993, 1994, 1995, 1996, 1997 The world's most highly regarded traction aid, an ARB Air Locker is a driver controlled locking differential originall.. Fits years 1986, 1987, 1988, 1989, 1990, 1991, 1992, 1993, 1994, 1995, 1996, 1997 Note: - Only suitable for differentials with 12mm crown whel bolts.- Refer to dealer or check spline count to determin.. 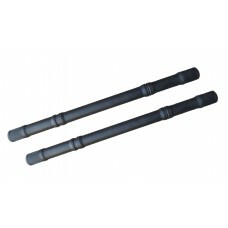 Fits years 1986, 1987, 1988, 1989, 1990, 1991, 1992, 1993, 1994, 1995 RD136 SUPERSEDES RD78ANote:- Refer to dealer or check spline count to determine axle type.- Floating thrust block(s) are included .. 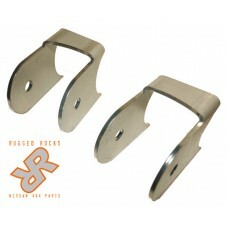 Fits years 1985, 1986, 1987, 1988, 1989, 1990, 1991, 1992, 1993, 1994, 1995The pair of Rugged Rocks 10 Degree Axle Tube Brackets are used for the Pathfinder 4-Link kit and Hold a Standard 2.5" Johnny .. 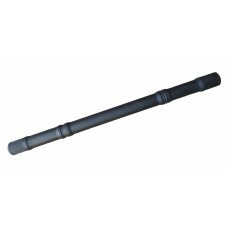 Fits years 1986, 1987, 1988, 1989, 1990, 1991, 1992, 1993, 1994, 1995RD136 SUPERSEDES RD78A Note:- Refer to dealer or check spline count to determine axle type.- Floating thrust block(s) are included.. Fits years 1996, 1997, 1998, 1999, 2000, 2001, 2002, 2003, 2004 Note: Refer to dealer or check spline count to determine axle type.The world's most highly regarded traction aid, an ARB Air Locker is a.. Fits years 1996, 1997, 1998, 1999, 2000, 2001, 2002, 2003, 2004Note: Floating thrust block(s) are included but should ONLY be installed on semi-floating axle assemblies. Refer to installation guide.Th.. Fits years 1996, 1997, 1998, 1999, 2000, 2001, 2002, 2003, 2004 Note: Floating thrust block(s) are included but should ONLY be installed on semi-floating axle assemblies. Refer to installation guide.T.. 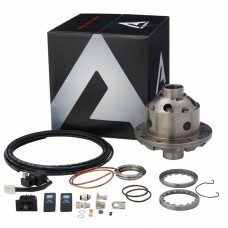 Fits years 2005, 2006, 2007, 2008, 2009, 2010, 2011, 2012The world's most highly regarded traction aid, an ARB Air Locker is a driver controlled locking differential originally designed to give seriou.. 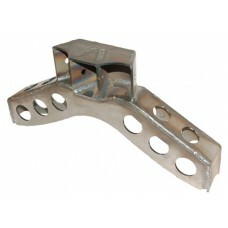 Fits years 1985, 1986, 1987, 1988, 1989, 1990, 1991, 1992, 1993, 1994, 1995Our laser cut & MIG welded truss of 1/4" steel, fits the Nissan H233B Rear Axle and is used for setting up a proper triangula..